Feel Awkward at Marketing Conferences? Try This. Feel Awkward At Marketing Conferences? Try This To Make Your Next One Epic. 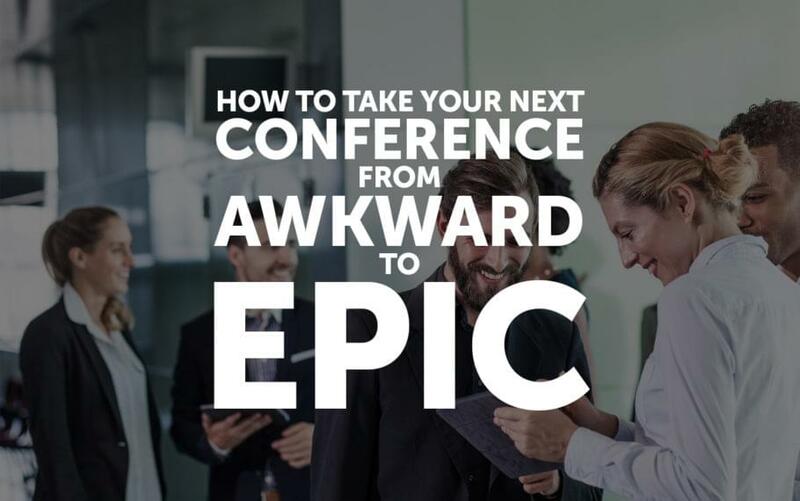 If you feel awkward and socially ill-at-ease going to marketing conferences, try this to completely change your experience and make the next one epic. 1. Make a list of everyone who will be at the event that you want to get to know. 2. Follow each person on social media. 3. Reach out to each person. Tell them you’ll be at the event, you’re creating a blog post (or video, podcast, article, etc.) on XYZ topic, and you want to get a short quote from them for it. It could be “Top content marketing tips for [current year],” or whatever, as long as it’s related to the event and something everyone can answer. 4. Tell them you’d love to get them on video at the event giving their answer. 5. Send a connection request via LinkedIn as a follow up. If you do nothing else, you’re now on the radar of these folks, and you’ve made some great connections already. But keep going! 7. Ask them if there is anyone else they know at the conference you should talk to. Chances are they’ll make the introduction themselves. 8. Once you get home with all the video and quotes, move FAST. Otherwise there’s a good chance you’ll never get this next part done. 9. Stitch all the videos together and put it on YouTube as a list of top tips on ABC topic or answering ABC question. 10. Write up the quotes and put them in a blog post. 11. Put the audio on your podcast. 12. Publish each individual quote on LinkedIn, and tag the person you’re quoting. Do the same on Twitter and Facebook. Do it on Instagram with images and the quote on top. You could do even more than this, but what I’ve described isn’t all that much work. If you do this, you will have an amazingly different experience at your next conference. All these people you contacted ahead of time will be seeking you out, and when you introduce yourself in person it won’t be awkward at all because you already have prior history and you’ll have something to talk about because you’re getting the quote from them. You’ll be giving huge value to them, and all they have to do is give you a 30 second quote. Win-win-win on so many levels. Try it out at your next conference and let me know how it goes.